The Defence Ministry has set up a panel to probe the death of Major Akshay Girish in a terrorist attack on Nagrota military base in Jammu and Kashmir in November 2016, officials said Thursday. Seven Army personnel including two officers were killed in the attack which was allegedly carried out by Jaish-e-Mohammed (JeM). Defence Minister Nirmala Sitharaman, in a tweet said, the committee has been constituted as sought by Major Akshay's mother Meghna Girish to probe his death. "As assured by the Raksha Mantri, a Committee has been constituted with members, inter alia, as suggested by Smt Meghna Girish to look into the supreme sacrifice made by her son Major Akshay Girish. 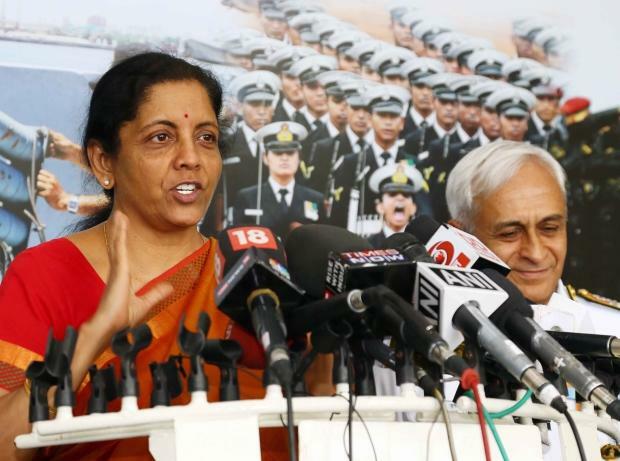 Smt Meghna Girish has been invited to depose before and assist the Committee," the defence minister tweeted. The National Investigation Agency (NIA) was probing the terror attack. Three Pakistani terrorists were killed in the operation and a huge quantity of firearms, ammunition, explosives and other articles were seized from them. The NIA had registered a case into the incident in December 2016 for offences under sections 120B, 121, 307 of the Ranbir Penal Code (RPC) and sections 7 and 27 of the Arms Act, 1958. Preliminary interrogation of the accused revealed that the attack was carried out by banned terror group JeM in furtherance of a well-planned conspiracy from Pakistan, investigators had said.